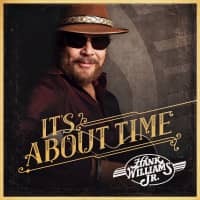 Learn more about Hank Williams Jr. Immediately following Saddam Hussein's August, 1990 invasion of Kuwait, American songwriters found a new war to work into their music. Joey & Lisa's To Joey, Penny Gilley's Line Drawn In The Sand, and (We Hadda Stop) Insane Hussein by Teddy Manthei and Friends are but three examples of original material. 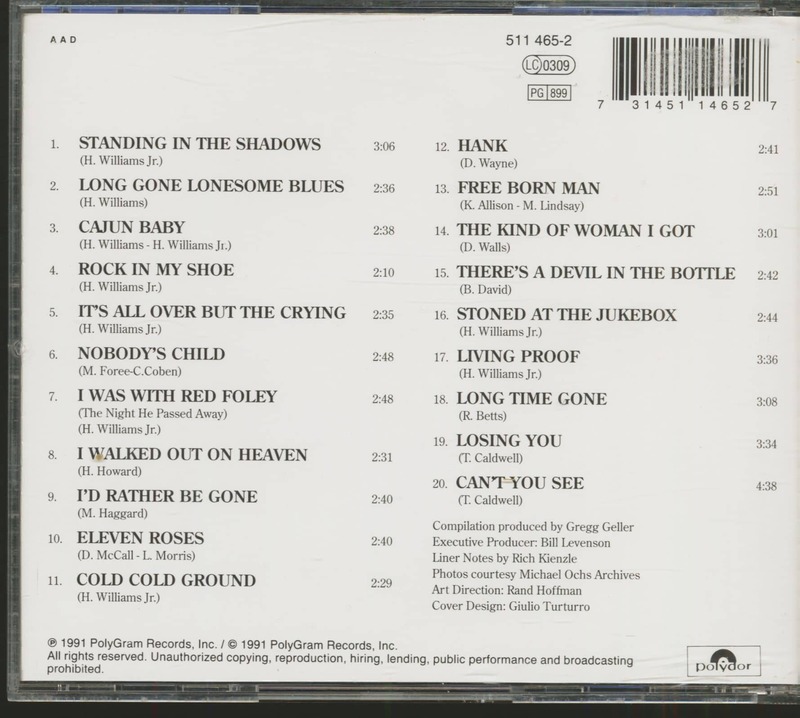 In some cases songs from the Vietnam era were dusted off and re-recorded. Donna Fargo revived Soldier Boy and Bobby Vinton put out a new medley of two of his '60s hits, Mr. Lonely and Letter To A Soldier. Like Eddie Reasoner, Hank Williams, Jr. drew on Vietnam to tell listeners that this was a new time, with a new script that would lead to a winning outcome. 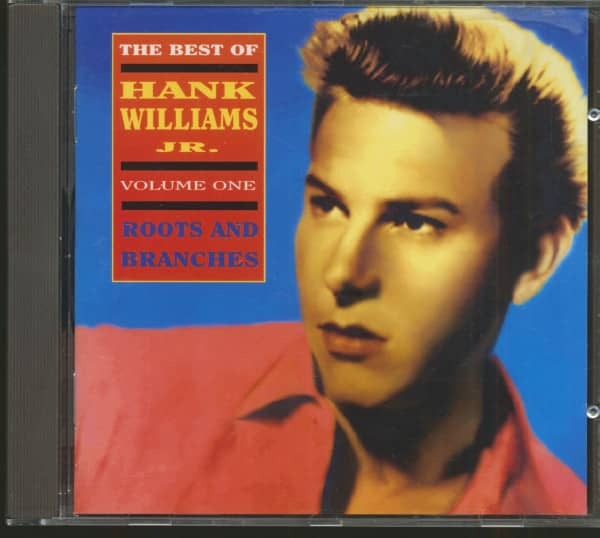 Customer evaluation for "The Best Of Hank Williams Jr. - Vol.1 Roots And Branches (CD)"
Weitere Artikel von Hank Williams Jr.